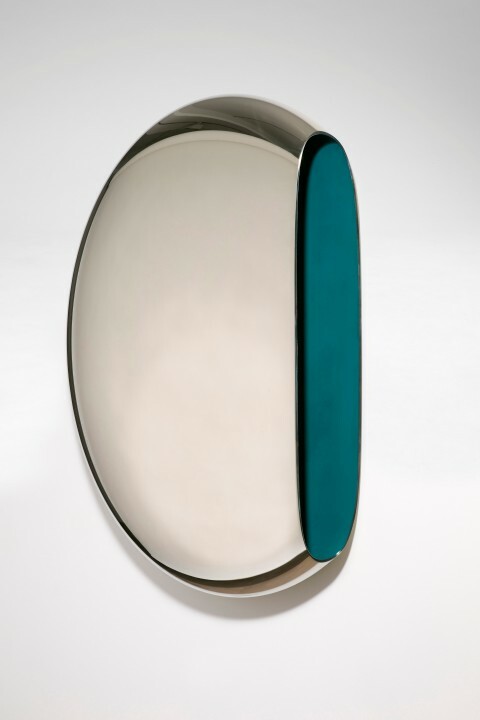 Circular elegant mirror that opens to reveal a pure pigment interior. Available with one or two sides opening. Also available in Cerulian Blue or Yellow.